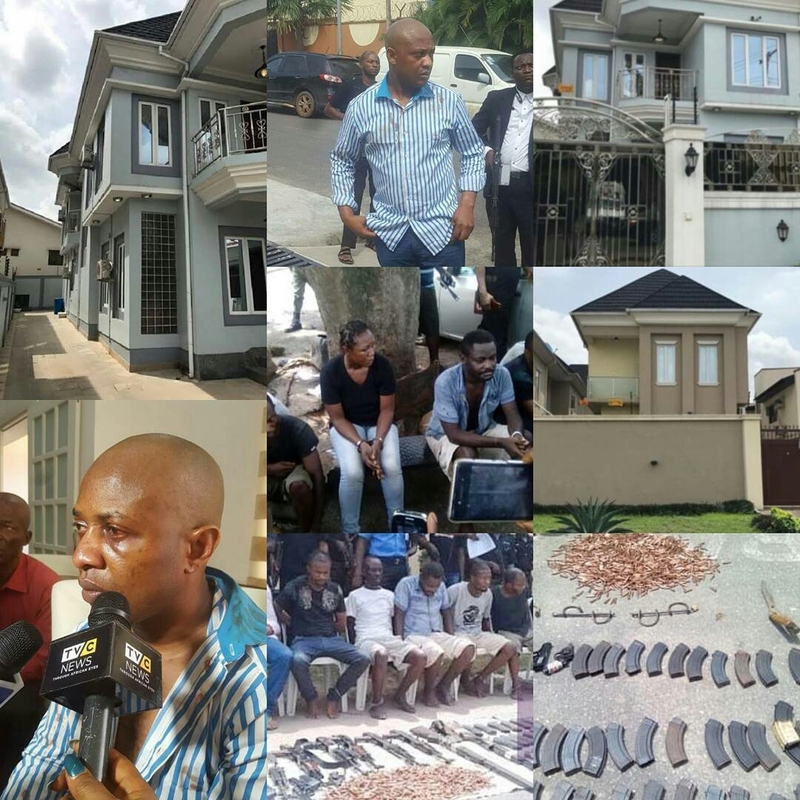 A suspected kidnap kingpin, Chukwudi Dumeme Onuamadike , also known as Evans, who was arrested by police in Lagos said on Sunday that he chose to collect ransom in American dollars to be different from other kidnappers. The suspect, while being paraded at the Lagos Police Command in Ikeja, told newsmen that he started kidnapping in 2015, after he left his spare parts business, a claim that contradicted the police statement that he was declared wanted in 2013. The suspect was arrested in his mansion in Magodo area of the state on Saturday. Evans, who wasn’t sure of how many people he had kidnapped, said the highest he had collected as ransom was one million dollars. “I can’t figure out how much I have collected so far or how many people I have kidnapped, but I have kidnapped up to 10 since 2015. “I chose to collect ransom in dollars to be different, and the maximum I have collected as ransom so far is I million dollars. “I work in two groups. A team moves with me to kidnap victims while we hand over to the other team that takes the victim to the hide out. “Kingsley introduced me to kidnapping, but I usually get my ammunition from one Chinedu and Ehis whom I met at Ago-Iwoye. “I also do drug business that enabled me to buy my property,” the suspect said. Among them are: * James Uduji, who was kidnapped close to his house at 7th Avenue Festac late last year. The Evans gang held him for six weeks. He paid $1million to regain his freedom. * Chief Raymond Okoye – Odu- Na –Ichida,, who was kidnapped in 2015. He also paid $1million as ransom. He was released after two months in captivity. * Uche Okoroafor, a trader at Alaba who was also kidnapped in 2015 for three months, also paid $1million. * Elias Ukachukwu kidnapped November 2015 similarly paid $1million. The police said the Evans gang demanded an additional $1million, claiming family members were rude to them during negotiation. 0 Comment to "I collected $1 million ransom each from my victims– Kidnap kingpin"